Tasted at “Fook Lam Moon” in Hong Kong. One of the great wines of the vintage, this bottle is very similar to the one poured in Bordeaux a couple of years ago. 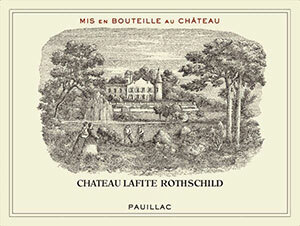 A quintessential Pauillac nose with that pencil box bouquet that soars from the glass with cedar and a touch of sandalwood. Great vivacity here. The palate is very focused with amazing symmetry with touches of mint and even liquorice on the almost sorbet-fresh finish. Very compact...it takes about 30 minutes for this wine to really unfurl. Tasted November 2011.